Thanks for participating in the Parana Outing Challenge. We should be seeing some great scores within this two weeks and some very close competition. For future score posting, instead of starting a new thread every time you submit a score, please try to post all your scores and pictures within this same thread as it will be much easier to keep track of what everyone is doing and compare the results. Thank you for your kind cooperation. Got a surprise from our own Martin today. Not only Martin can create great outings, he can really fish too! As he was experiencing some technical issues with the Philippine internet service he'd asked me to post his scores for him. Below are his results. Well done Martin! I expect to see some great scores and catches over this weekend. 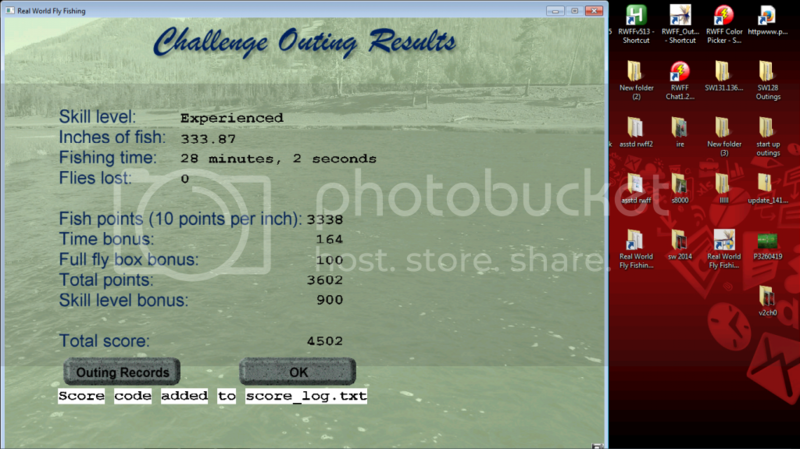 Here we have Martin's latest effort at fishing the Parana Challenge. He is steadily improving and coming up the score ladder. Watch out guys, this Scottish Warrior can fish! Will have research done tonight on your 2 fish that Martin requested. Also an excellent score Martin. Going to try again this afternoon to increase my score. Another nice job on your fish Stanley and another excellent score from our own Martin. Great job Roger! You caught a lot of really nice sized fish but the time was a little long. 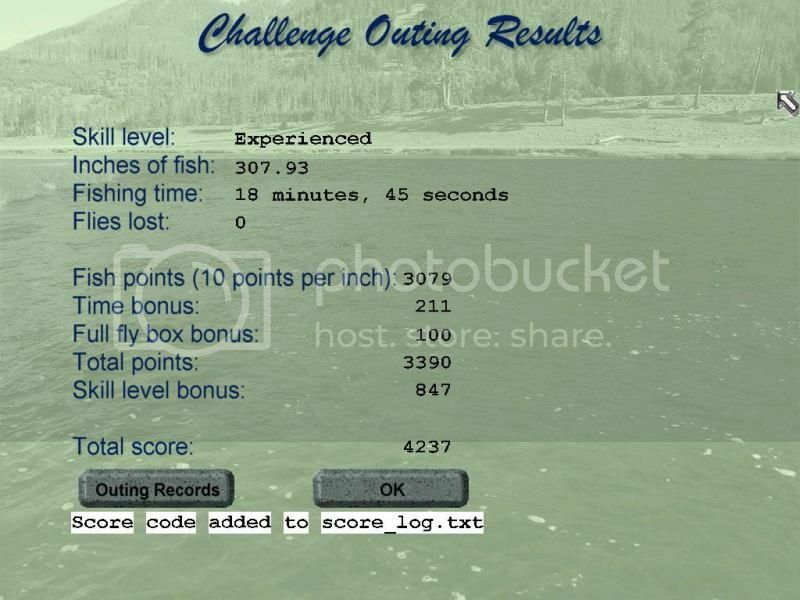 I had a go last night and caught some big fish too but it also took too long and I lost the time bonus points so I scored in the low 4100s. 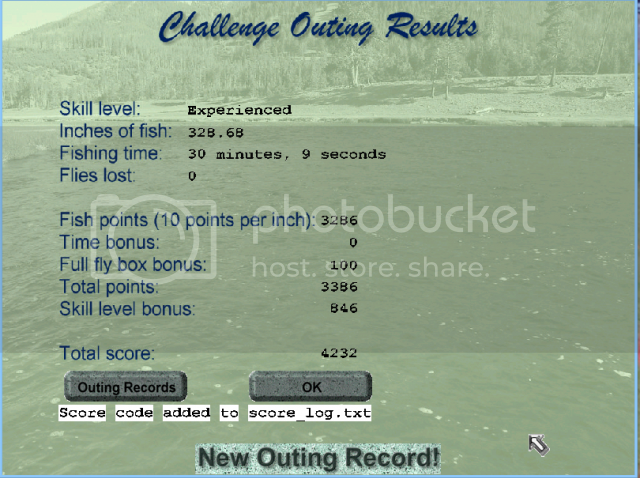 I did try the Challenge again and caught some smaller fish but the time was good. I think the secret is to catch the bigger fish and finish the Challenge in the least amount of time possible. A lot easier said than done. My first attempt turned out to be the best one so far. Badger did a great job with his score. He will be the man to beat. Still plenty of time left until the deadline. I remember great scored were turned in during the last moments of the tournament so we might see the same pattern here again. PS. Uncle Barnsie, wherever you are, I hope you will get your laptop fired up and join the fray. You always loved competition and you will have lots of it this time! Can I once again to improve the score ? A great first effort! I am sure you will improve on your next try. You will need to use a 9 foot rod, 9 weight rod and 2x leader is OK. That way everyone will be using the same equipment which makes the competition more fair. Looking forward to seeing more scores from you. To post your caught pictures and images all you need to do is to open an account with a free image server like "Photobucket", upload your pictures to your account there and get a "IMG" code and put that into your RWFF post. It is simple and effective. Please contact me if you need any help with this. 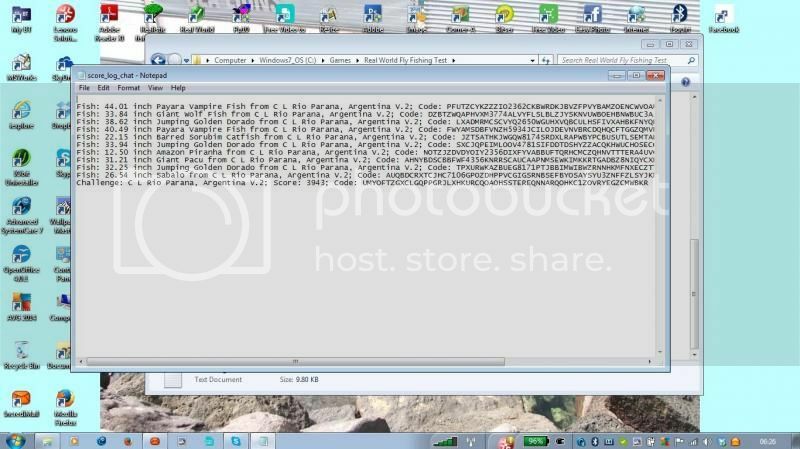 I corrected some result, but this post is a test of proper use "Photobucket"
Roger (Rwwalleye) here. That's an excellent posting and a fairly good score. Keep at it, we still have like 10 days left on the mini tournament. It looks like you are catching on really quick. From what Stanley has shown so far you have some beautiful fishing waters around you. Hope to see some more excellent posts. Looks like you guys are havin a great time with the challenge and Stanley's newest outing! Doesn't surprise me though, he isn't "Stan the Man" for no reason! Wish I could join you all and put you all to shame No seriously, I wish I could join you guys, I really miss the creativity that goes into the outings and species. Who knows, all in due time, right? Glad you are all doing well! Hi Chuck and Everyone especially looking for challenge scores. Stanley and Martin has been busy and Stanley's mini tournament is going well even with a new member from Poland, who is catching on to everything really quick. Well pertaining to the tournament, I for some unknown reason didn't even really hook 3 fish and the snapped my line. Tension bar was still at the bottom in the green. I cast a few times and the flybox pops up and I need a new fly. Other then losing the extra 100 points, I still ended up with an excellent score but still short of Barry's. Great fun, very addictive . Fish very brave , leaders break and the fish Pa pa , fortunately , not all .